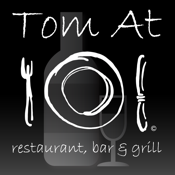 The Tom At 101 iPhone App gives prospective and existing customers the ability to interact with the Warrington based restaurant whilst on the go. Users can read the reviews before they visit, book their table and even decide what they'd like to eat directly via their iPhone. Tom At 101 have created their bespoke App to enhance the experience of dining at the restaurant and provide the ultimate convenience for quick and easy bookings.